It’s Krampusnacht again, and time for Season’s Beatings with your host, Krampus! On this very special episode of Krampus’ own talk show, he welcomes guest Dave Stecco of the Blurry Photos podcast. 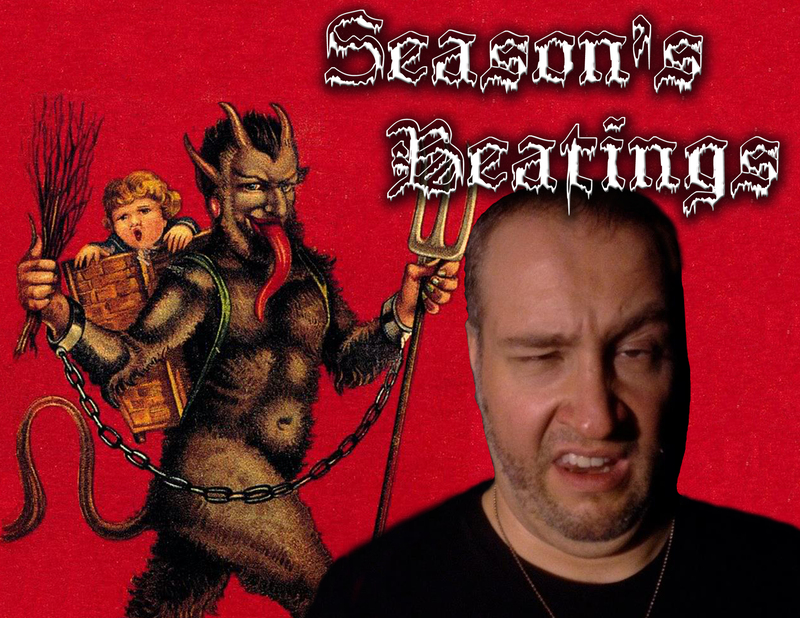 We learn a little about Dave, and Krampus tests his mettle in a game of trivia. Proving just what an a**hole he can be, Krampus puts Stecco through the ringer for your amusement. Put some comfy slippers on, open up that schnapps, and be glad you’re not the one being interviewed on Season’s Beatings!